Enjoy a delicious snack that satisfies - with a burst of flavor! 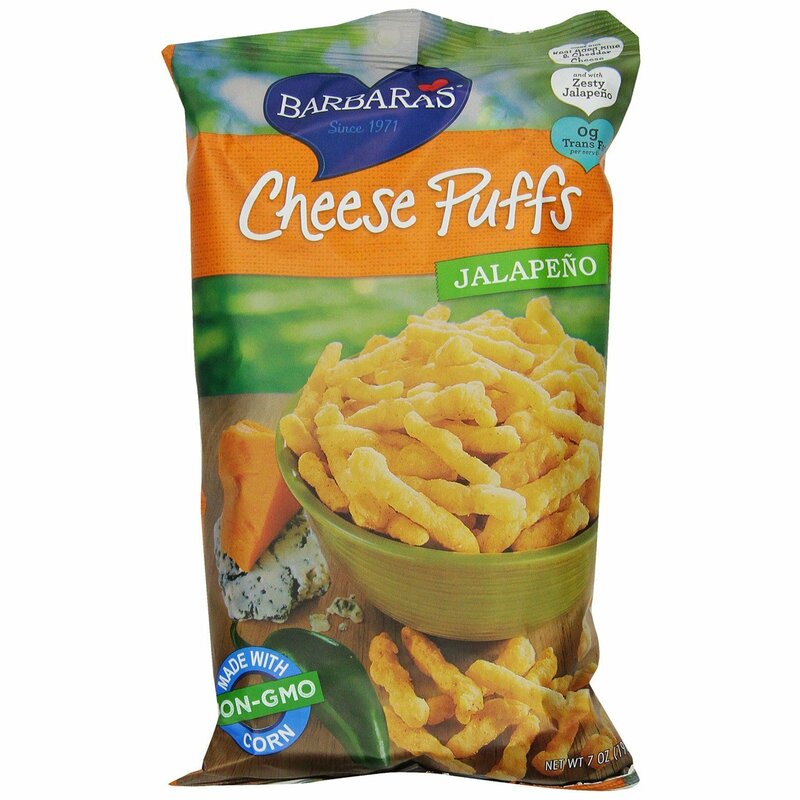 Share the joy of Barbara's cheese puffs - made with real cheese and and irresistible crunch. 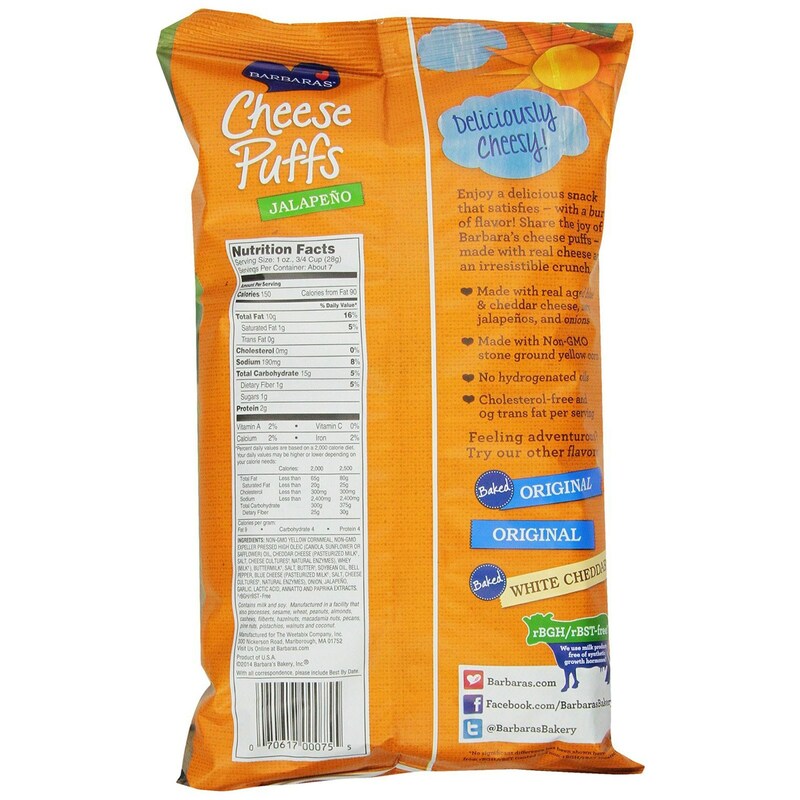 Non-GMO yellow cornmeal, non-gmo expeller pressed high oleic (canola, sunflower or safflower) oil, cheddar cheese (pasteurized milk†, salt, cheese cultures†, natural enzymes), whey (milk†), buttermilk†, salt, butter†, soybean oil, bell pepper, blue cheese (pasteurized milk†, salt, cheese cultures†, natural enzymes), onion, jalapeno, garlic, lactic acid, annatto and paprika extracts. Contains milk and soy. Manufactured in a facility that also processes sesame seeds, wheat, peanuts, almonds, cashew, filbert, hazelnut, macadamia nut, pecan, pine nut, pistachio, walnut and coconut.